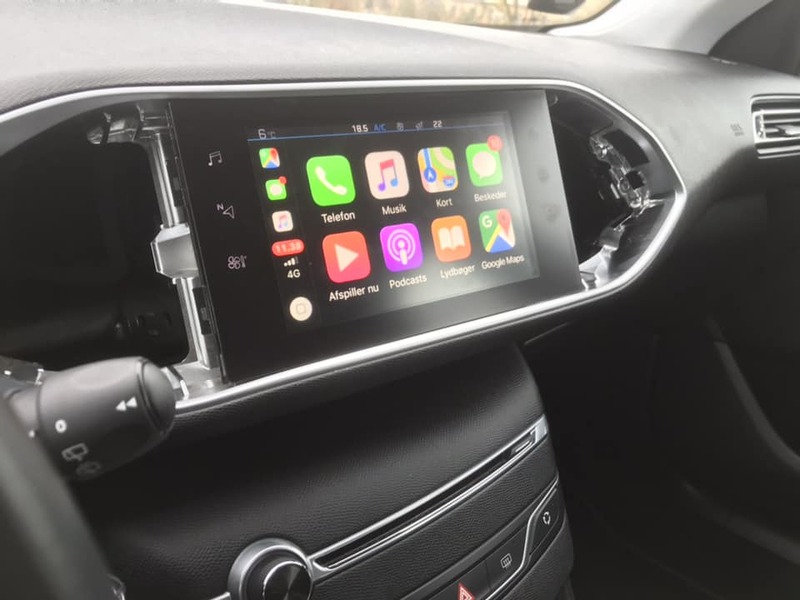 i have researched a lot about the new head unit which had CarPlay as a feature, and I wonder for long time about if it will be possible to retrofit it on the old t9 model, so I found a post on a French forum which I want to give a try! 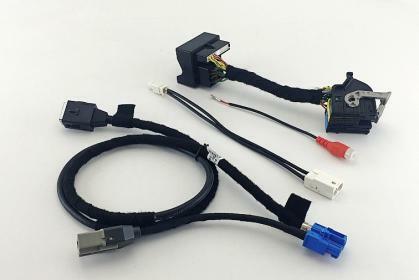 I already have the touchscreen and Nac unit from a donor car, but the wiring seems to be different which u guys can see on the attached picture, as I read the post its should be possible with an adapter with some wiring too, I have bought an adapter from china which will get it to work, I will update u guys with feeds after I receive the adapter! Last edited by Abiran; 16-10-18 at 08:11 PM. Interesting, how do you wire the SOS element, as that is a mandatory item for new homologated cars in the EU. Obviously you are retrofitting so not important. But I suspect you might get some error messages you may need to suppress as you have no SOS button to take car of push detection etc. Of cause we will get some errors thats why we have to telecode the unit, we have to find a car similar to our model with a NAC (with the same finish as yours) and get the VIN on the windshield (if you find several it's even better), then you won't get any problem to get the sos element work properly, In fact, if the car you find has one or more additional options it is not very serious, the NAC will display related options (ex: switch high beam that I do not have on mine) but they will never be activated. The goal is still to get as close as possible to what you really have, it's "cleaner". 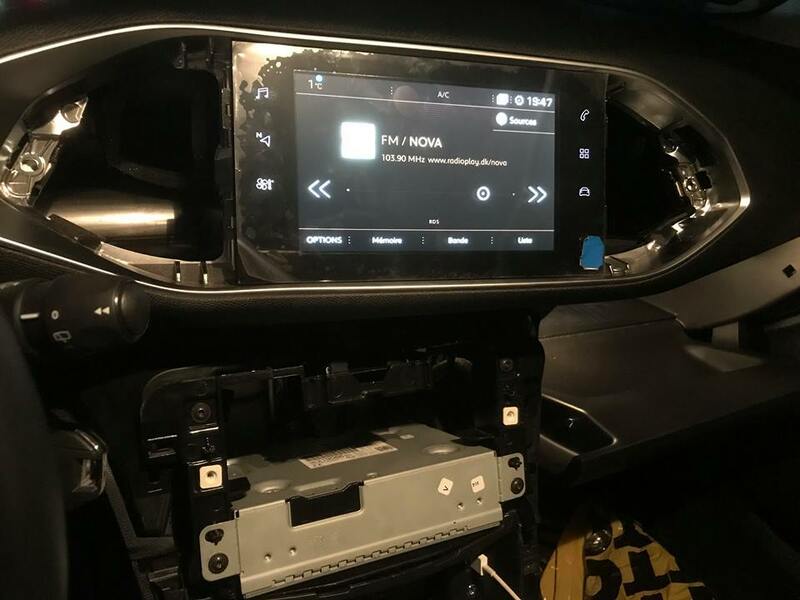 Finally i did it, everything works, just replaced the touch screen and headunit and assembled it again with the adapter I ordered, then telecode the headunit to the vin number! mooi1uk and Mr Lee like this. Just coded? No need all that VIN procedures of coding to another car´s VIN? This is excellent news! I can't wait to do it to mine as I'm sick of not having Android Auto. Where did you get the parts?? I don't know why Peugeot can't offer this service of upgrading!! I'll be following your progress like a hawk on this one, android auto is something i want as well! Just need to get the parts from a car that's written off or being broken down for parts! 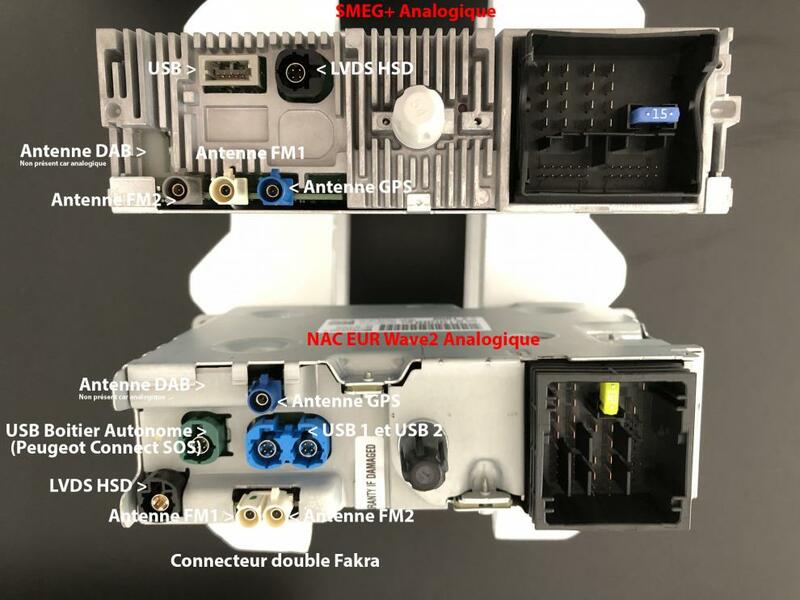 What car did the nac unit come from? year model etc? Or you go to a Peugeot dealer look at a car where it is fitted. Write down the VIN number, then look up the parts on a parts DVD or friendly parts department.